On 4 September, Newcastle City Council published a planning application to build on South Gosforth Green. This application, made on behalf of the Council’s Fairer Housing Unit, is for 7 bungalows in a courtyard arrangement with parking and an access road from Ridgewood Gardens to the north. The facilities proposed, to support people with physical disabilities and those with learning disabilities and/or autism, are undoubtedly a good thing. On the other hand, if approved, this development will lead to the irreversible loss of part of the green currently available and of benefit to the wider community. So while we support the creation of such a facility we do have concerns about the use of this location and the precedent this may set to allow building on other green space. Recent history however suggests this objective to improve the provision of green space is no longer being pursued. In February the Council approved an application to build on Montagu Green in Kenton and in April we found the green in Grange where Alan Shearer learned to play football had also been earmarked for housing. This raises a whole range of questions. Why has the Council chosen to build on community green space? How will the value of the new facility be weighed against the loss of green spaces? What criteria will be used to judge this and is the application compliant with these criteria? What happens when the Council is acting both as a developer and also as the planning authority? And what does this mean for the future of other green spaces in Gosforth and across the city? We thought we better have a look. Why has the Council chosen to build on community green space? The National Planning Policy Framework (paragraph 47) requires Councils to assess future housing needs and, where additional housing is required, identify sites that can be developed to meet those needs. For new housing to be developed in the next five years those sites must be immediately available, suitable for development and with a realistic prospect that housing will be built within the five year period. Given such criteria, parks and green spaces owned by the Council (or any Council) are going to be attractive targets if not given suitable protection. That said, the most recently published assessment for Newcastle, set out in the draft 2016 Housing and Economic Land Availability Assessment (HELAA) and summarised in the interactive map below, does not include South Gosforth Green, nor the Park Avenue green. The Valley, by Newlands Road in High West Jesmond, is mentioned but as a site that has been specifically discounted, as is the former Sanderson Hospital site in West Gosforth. Although not in the current site list for future housing, South Gosforth Green was in included in the Council’s 2013 Strategic Land Housing Availability Assessment. In this assessment it was recorded that this location would be “most suitable for development of a bungalow court” but that there was “no Council resolution to dispose of site for residential development” and that the main constraint to housing development there was the Council’s own Open Spaces policy. 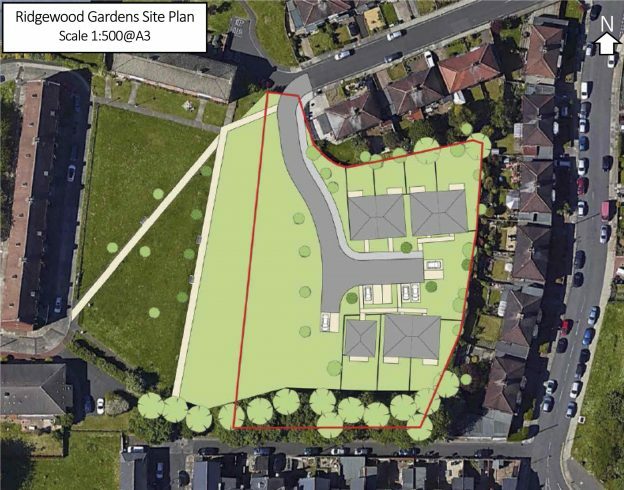 While none of this would constrain a private developer from submitting a planning application for South Gosforth Green, it does seem surprising that the Council itself should choose a location it has specifically removed from its own development list and where previously it has noted non-compliance with its own policies. In these circumstances it seems reasonable to ask why the Council has submitted an application given its own plan shows sufficient sites for building without the loss of this green space. How will the value of the new facility be weighed against the loss of green spaces? Section 38(6) of the Planning and Compulsory Purchase Act 2004 requires that applications for planning permission must be determined in accordance with the Council’s statutory development plan unless material considerations indicate otherwise. The statuatory development plan for Newcastle consists of the Core Strategy and Urban Core Plan for Gateshead and Newcastle upon Tyne 2010-2030 and a number of reserved policies from the previous Unitary Development Plan including a number of policies relating to the protection of open spaces. The Planning Statement prepared by the developer effectively admits that the proposed development is not in line with the development plan saying “it would still be difficult to justify development against UDP Policy OS1.5“. Policy OS1.5 along with OS1.4 are the key policies protecting open spaces. Policy OS1.5 sets a strong presumption against building on open spaces and lists four “exceptional circumstances”, none of which apply to the South Gosforth Green application. These four exceptional circumstances are the only circumstances where loss of open space would be considered acceptable according to the plan. The Montagu report then goes on to say: “As such, consideration is required as to whether the loss of the open space would be outweighed by the benefits of the proposed development.” In effect, this reasoning appears to be second guessing the development plan as the development plan has already set out very clearly (in policy OS1.5) the specific circumstances in which the benefits of the proposed development should outweigh the loss of green space. Based on this, it feels quite likely that the recommendation given to the Planning Committee to approve the Montagu Green application was incorrect. The South Gosforth application also states that “A separate ‘Open Space Assessment’ has been prepared which concludes that the development of the site for housing, would not result in overriding harm in terms of loss of open space functionality.” This conclusion also appears to be unjustifiable as Policy OS1.4 defines that “Harm includes loss of the space in whole or part.” and that “development which would cause demonstrable harm to any public open space… will not be allowed.” (underlined for emphasis). This same was true for Montagu Green however and that was recommended for approval despite the very clear harm (as defined by policy OS1.4) caused by loss of part of the green. What criteria will be used to judge this and is the application compliant with these criteria? As set out above, the South Gosforth application is not compliant with the local development plan and, if there are no material considerations to the contrary, should be rejected as required by the Planning and Compulsory Purchase Act. Material considerations could include loss of privacy, traffic issues, lack of sufficient local facilities e.g. school places, impact on nature or layout and density of the design. Some of these aspects we wrote about in relation to a planning application at Gosforth Business Park and are for the most part reasons to reject an application rather than to approve a non-compliant application. This circumstance is not included as an option in the development plan however policies OS1.4 and OS1.5 in effect confirm that the open spaces listed (including South Gosforth Green and Montagu Green) are (or were) required and are therefore not surplus to requirement. The Open Spaces Assessment included in the planning application suggests an alternative view with a set of minimum “quality” standards that allow for the removal of green space even though Council strategic objectives and detail policy at the time of the application suggest this should not happen. 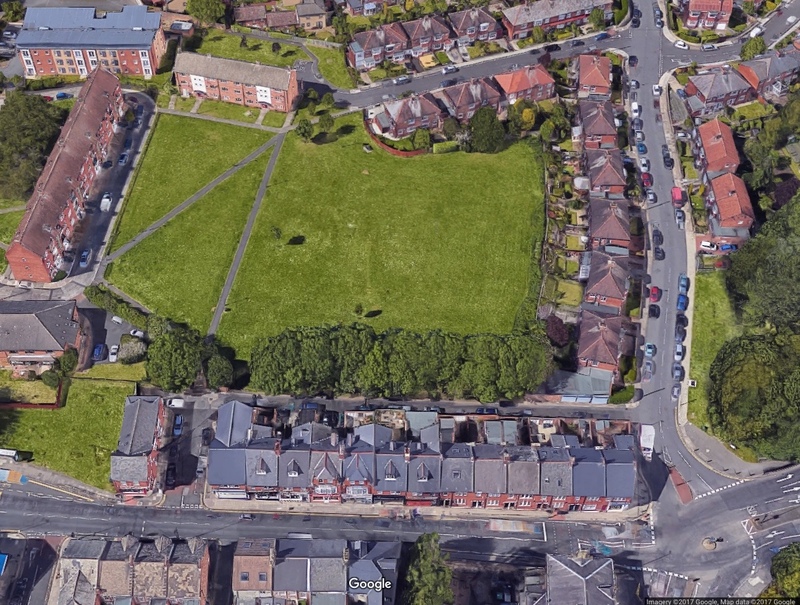 This leads to the following comparison of current green space vs the ‘quality standard’ which the developer asserts (we believe incorrectly) “clearly shows” the part of South Gosforth Green that is to be developed “to be surplus to requirements”. (quoted words from National Planning Policy Framework paragraph 74). Based on the proposed Draft Development and Allocations Plan on the agenda for Council Cabinet on 18 September 2017 (table 1 p67), the Amenity Green Space ratio will be 1.0ha/1000 rather than 0.8ha/1000 stated above. This increases the requirement from 8.11ha to 10.14ha and reduces the surplus to only 0.15ha so far less than the 0.44ha site covered by the application. If this application is approved then it will cause East Gosforth ward to be in shortfall for Amenity Green Space even with the new lower standards. These new ratios will not apply however until after public consultation which, if approved by Council Cabinet. will not complete until December 2017. Measured against current policy the application is even less compliant. Policy OS1.2 states that when considering planning applications the appropriate measures are (a) that most households should be within 500m of a public park of 6 hectares minimum (not met at South Gosforth Green); and (b) rates for local open spaces and spaces for outdoor sport set at 1.2 ha/1000 people and 1.1 ha/1000 people respectively (much higher than is available at South Gosforth Green). There are a number of further issues with this assessment beyond the fact that it doesn’t appear to comply with Council policies or objectives. The developer cites the “over-provision” of Amenity Green Space as a reason for allowing the development to go ahead. While this is mathematically true based on the ratios provided with the application and for that specific category, if this assessment is made in respect of overall green space excluding allotments (i.e. locations where children can play) then even against these lower standards there is currently an under provision of 2.7 hectares, which will be made worse by this proposal. The assessment states that Gosforth Central Park and Paddy Freemans are within a 15 minute walk of South Gosforth Green. While this may be true for a fit adult, the actual access standard is 720m which is not met as Gosforth Central Park is approximately 900m (see map below) and Paddy Freeman even further. Walking routes to both these parks require the use of and crossing of busy main roads including Haddricks Mill roundabout, which according to analysis by The Chronicle is one of the 10 most dangerous roundabouts in Britain. Just taking the distance from South Gosforth Green is too simplistic an analysis to judge distance as the 900m / 1100m would be incremental distance for anyone living north of South Gosforth green, in particular in Garden Village where contrary to its name there is a lack of usable open space. The assessment scope covers the area enclosed by East Gosforth ward whereas people do not stick to political wards when choosing which park to go to. In this case, a large part of the Amenity Green Space for this ward is at the other end of the ward on the Little Moor, 1400m away. Google Maps walking directions from South Gosforth Green to Gosforth Central Park. 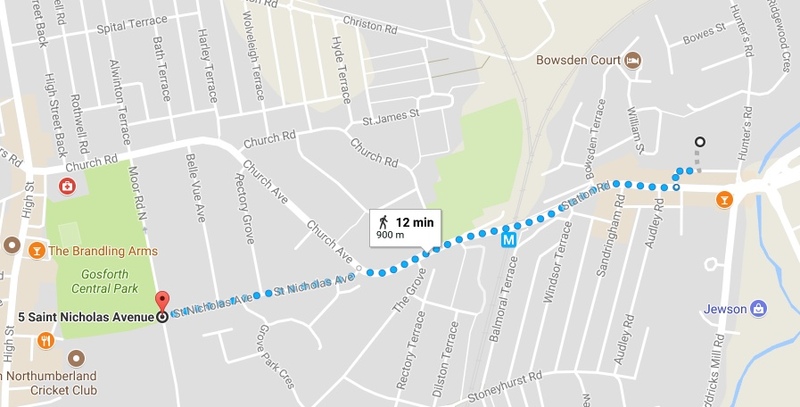 According to the application 720m is the maximum distance anyone should have to walk to a park. Click to go to Google Maps directions. What happens when the Council is acting both as a developer and also as the planning authority? This application has also highlighted a number of issues with the planning process itself. The Council is acting in multiple roles which potentially conflict. As well as being the developer making the application, it is also the planning authority that assesses the application and the policy-setting body that creates the policy that the application will be assessed against. The developer has been given access to unpublished (and possibly unapproved) Council Open Spaces Needs Assessment, which suggests the planning department may have had a significant part in writing this key aspect of the application. This means in the final assessment the planning department could in effect be marking its own homework and potentially may not apply the proper scrutiny it deserves. As developer, the Council appears to be over-relying on its role in policy-setting to interpret local plan policies in a way that may not have been intended when those policies were made. Updating the Open Spaces Needs Assessment to vary the quality standards for open spaces could be seen in a similar light, as could an over-reliance on ward boundaries for assessing open space availability. A similar potential conflict also exists for the Councillors that attend the Planning Committee, in that they are being asked to review their colleague’s application. From a financial perspective, a further conflict exists in that if there is to be a developer contribution it would have to be paid by the Council. In the planning application it states “There is no scope, nor any requirement, for the development to make wider planning contributions.” despite the loss of community green space. The National Planning Policy Framework (paragraph 204), on the other hand, states that planning obligations (including financial payments) may be sought in order to make the proposed development acceptable in planning terms. In this case that would be (as per policy OS1.5) the cost for the Council of providing an alternative of equivalent community benefit, which could be considerable. There are also financial questions regarding future ownership of land e.g. will it be sold to Your Homes Newcastle and if so will the Council recover a fair market price for the land. Arguably, if this application goes ahead, any monies resulting from that sale should go to benefit the community that has lost the benefit of the green in addition to the developer contribution. What does this mean for the future of other green spaces in Gosforth and across the city? Parks and green spaces in Newcastle and in local authorities across the country face an uncertain future. When Council budgets are being cut then non-statuatory services such as parks will inevitably be affected. At the same time cities across the world are striving to find ways to create more green space as they both understand the value to its residents and in attracting people, especially families, to come and live and work there. These include cities like Barcelona looking to double the number of trees and increase park space by two thirds , like Seoul where a highway has been turned into a public park and New York where the High Line park has been created from a former elevated freight rail line. The applications at Montagu Green and South Gosforth Green should be a wake up call to anyone who values parks and green spaces in the city. By the time a planning application has been submitted it may well be too late. In many cases there will be friends groups already formed to look after parks that you can join and support, but if there isn’t it is never too late to start one. Whatever ratios are used to calculate under or over provision, green spaces that are cared for and well used by the local community will have a much better chance of survival than those that are not. Comments on the South Gosforth Green planning application need to be received by 25 September 2017. There is also a Community Picnic planned on South Gosforth Green on 23 September. The new reduced Open Spaces ratios proposed in the Development and Allocations Plan is due to be consulted on between 9 October 2017 and 20 November 2017. The Council have also confirmed that “All applications need to be fully assessed against the adopted policies at the time of determination of the application. All emerging policy are a material consideration and the weight to be applied depends to some degree on the stage of consultation.” We understand this to mean that the proposed lower levels of protection for open space can be taken into account in the assessment made by the Planning Officer but that these should be given lower weight as they have not yet been consulted on. We also have confirmed that this will be taken to Planning Committee rather than to be made via a delegated decision. Agendas and papers for Planning Committees are available here. The next committee is planned for 13 October 2017. In addition, the evidence base for the DAP is now available to view, which includes reference to the Newcastle Open Space Assessment 2016-2030 referred to in the planning application. The Open Space Assessment states a ratio of 0.8ha/1000 people (section 6.3), which might explain why the planning application uses this figure rather than 1.0ha/1000people set out in the DAP. The DAP however is the definitive policy document approved by cabinet to be consulted on and which could be cited as a material consideration (albeit of lower weight) for this application. Based on figures set out in the Open Space Assessment there are 10,145 people in East Gosforth (section 1.4.3) and so based on 1.0ha per 1000 people there needs to be 10.15 ha of Amenity Green Space in East Gosforth ward. Table 7 (section 5.2.2) of the Open Space Assessment says that there are currently 10.28 ha of Amenity Green space in East Gosforth so, under the yet to be consulted on ratios, a “surplus” of 0.13ha which means if the application was to go ahead it would result in a deficiency of 0.31ha in the ward and would not be compliant with the proposed new open spaces policy (Policy DM29 – see below). This confirms the analysis made in the original blog post. The Council has published its Committee Report and has confirmed this application will be on the agenda for the Planning Committee on Friday 13th October. The Committee Report confirms that, as we outlined above, the application does not comply with UDP Policies OS1.4 and OS1.5 relating to Open Space provision [See References D below] and does not comply with Core Strategy Policy CS18 “Green Infrastructure and the Natural Environment” that requires open space to be protected and enhanced in accordance with agreed standards in line with national policy. It also confirms that the application does not comply with NPPF paragraph 74 [See References B below] which sets out national standards for whether open spaces can be built on. Paragraph 74 could have applied in this case if an assessment had shown the open space to be clearly surplus to requirements but this has not happened. With regard to the proposed Draft Development and Allocation Plan, which proposes to reduce open space protections for the city and which the developer appeared to be relying upon to suggest there was a surplus of open space in the East Gosforth ward, the report confirms that this has limited weight as it has not yet been through any public consultation. This is not mentioned in the conclusion and we therefore assume it was not a factor in the officer’s recommendation. Investigation of potential contamination and in respect of mining works. Implementation of open space enhancement works. Provision of bat and bird boxes. There is no planning condition in relation to the purpose of the housing to assist people with support needs. The Planning Committee will have to assess whether it supports this recommendation to prioritise the benefits of building affordable housing in this location over Council and National policy to protect green spaces from over-development. If approved by the Planning Committee, details relating to appearance, landscaping, layout and scale will be considered once the developer has submitted a further application to confirm these elements. The Planning Committee approved the application at the 3 November meeting and the decision notice has now been uploaded to the planning website. There needs to be “Investigation and Risk Assessment to assess the nature and extent of any contamination on the site”. “The development shall provide 100% affordable housing for and the dwellings shall meet the definition of affordable housing.” There is an accompanying note to say these are to be affordable housing for older people. In the original application it stated that The facilities proposed were to support people with physical disabilities and those with learning disabilities and/or autism so the purpose of the housing appears to have changed. Proposed Draft Development and Allocation Plan (Item 3 Council Cabinet 18/9/17) – includes updates to Open Space policies. Unitary Development Plan – applies where policies (including relating to Open Spaces) have been reserved. (see below for Open Space Policies). Summary of policies relating to planning. Evidence base for the Development and Allocations Plan. The draft 2016 Housing and Economic Land Availability Assessment (HELAA). No final version has been published to our knowledge. Policy OS1.2 (see copy below) sets out planning standards for how much open space is required as part of and as a result of planning applications. The most recent draft Open Spaces Needs Assessment referred to in the application has not been released to the public. We requested this on 29 August and were told that this is part of a set of documents to be reviewed by Council Cabinet on 18 September. The National Planning Policy Framework Paragraph 74 refers to conditions for building on open spaces. the development proposed is for alternative sports and recreation provision or green infrastructure, the need of which clearly outweighs the loss of the existing open space. 2. Development which would result in the loss of open space not shown on the Policies Map that contribute to the character and visual amenity of an area will not be permitted unless it can be demonstrated that the benefits of development clearly outweigh the loss. it would contribute positively to the setting and quality of the open space. Development of a Charitable Trust to Deliver Newcastle’s Parks and Open Spaces (see item 4). Note that South Gosforth Green is not currently included in the scope of this Charitable Trust. Friends of Gosforth Central Park Facebook, Twitter. Friends of Havannah Facebook, Twitter. Friends of Leazes Park Facebook. Friends of Walker Park Facebook. Friends of Iris Brickfield Facebook, Twitter. Heaton and Armstrong Parks Facebook, Twitter. Friends of Jesmond Dene Facebook. Friends of Summerhill / Summerhill Bowling Club Facebook, Twitter. Parks for People Gosforth Facebook, Twitter. Friends of the Valley and Little Dene (FOVALD) Website. E. PURSUING PROVISION FOR ALL NEEDS IN THE COMMUNITY, INCLUDING THOSE OF CHILDREN, THE ELDERLY, AND PEOPLE WITH DISABILITIES. OS1.1 DEVELOPERS WILL BE REQUIRED TO PROVIDE OPEN SPACE IN ASSOCIATION WITH HOUSING DEVELOPMENT AND MAJOR DEVELOPMENTS FOR OTHER LAND USES. THE AVAILABILITY OF AREAS OF NATURE CONSERVATION VALUE, COUNTRYSIDE CHARACTER, COMMUNITY WOODLAND OR COUNTRY PARKS WHICH CAN PROVIDE FOR A WIDE RANGE OF PASSIVE RECREATIONAL ACTIVITY. PRESERVATION OF A WILDLIFE HABITAT OR CONTINUITY OF A WILDLIFE CORRIDOR. ALTERNATIVE PROVISION OF EQUIVALENT COMMUNITY BENEFIT IS MADE AVAILABLE. Update from Newcastle Chronicle 8 July 2018. Update from Newcastle Chronicle 13 July 2018. Deputy council leader, Coun Joyce McCarty, said: “People with disabilities have a right to live in nice places too and there’s a chronic shortage of supported housing in this part of Gosforth.